Check out our interview with Mike Noble, the actor currently playing Christopher Boone. 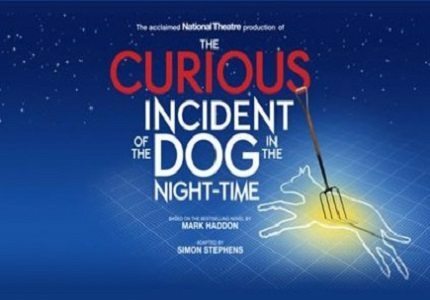 Based on the multi award winning novel by Mark Haddon, The Curious Incident of the Dog in the Night-Time is a new play from the National Theatre. 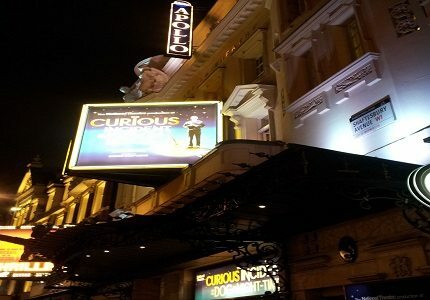 The production, adapted by Simon Stephens and directed by Marianne Elliot, transferred to the Apollo Theatre following a highly successful and critically acclaimed run at the Cottesloe Theatre. Like the novel, the play centres on Christopher, a 15-year-old boy with autism (although his exact disorder is never revealed.) Christopher’s world was turned upside down when his mother died two years ago and, on discovering a dead dog pierced with a garden fork in his neighbours garden, he reaches breaking point and decides to investigate the dog’s death. Cautioned by his father to steer clear of the case and not to pester his neighbours, Christopher ignores his father and embarks upon a quest to solve the mystery of the murder. Unfortunately for Christopher, the mystery ends up being much more curious than the incident of the dog in the night-time and he ends up venturing to London for an important reunion. The production is brought to life on a new and innovative level by the creative team. For instance Bunny Christie’s designs and Finn Ross’s video designs make the piece a cutting edge demonstration of modern theatre. 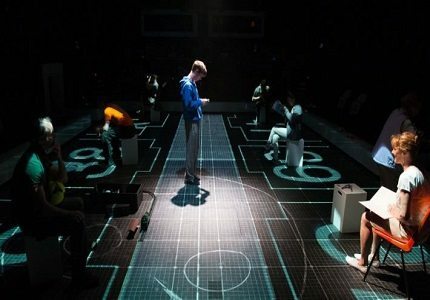 The London Underground is brought to life onstage with flair and themes of mathematics are brought to life by the textbook appearance of the backdrop along with geometric and numerical equations. 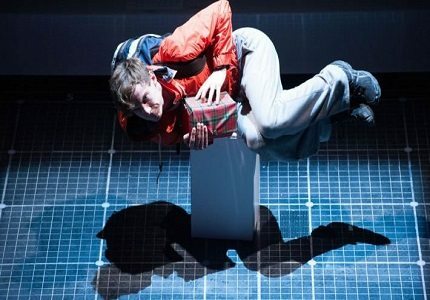 The Curious Incident of the Dog in the Night-Time is a moving piece of modern theatre that has a bitter sweet edge. The production will appeal to lovers of Haddon’s original text, people who like a murder mystery with an edge and those who love visual theatre. The production is suitable for children aged 13 and over. The production contains some scenes that could be scary to younger children as well as discussing sensitive subject matter. Teenagers will enjoy the production for its cutting edge design and engaging story-line.